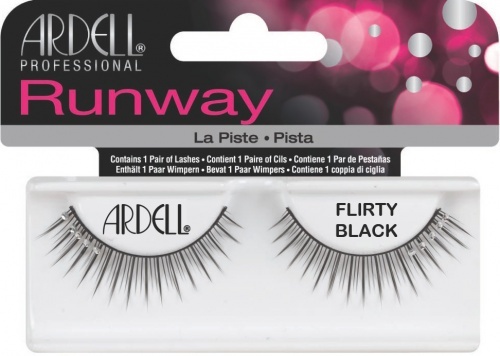 Ardell Professional Strip Lashes 6 Pack - Runway Gisele Black (60071) also known as Ardell Professional Strip Lashes 6-Pack Refills GISELE includes 6 pairs of Ardell Gisele Lashes per pack. 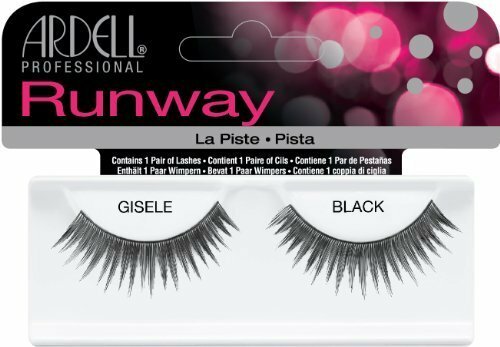 Ardell Wild Lash Gisele (also known as Ardell Runway Gisele Lashes) are slightly shorter than the Claudia lash, but have tons more volume! Catch these lashes on fashion show runways worn by high fashion models to create and compliment dramatic and beautiful designer looks. 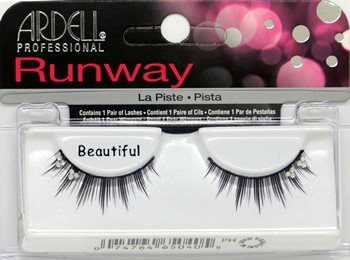 Ardell Professional Strip Lashes Runway 6-Pack Refills - PRETTY includes 6 pairs of Ardell Pretty Lashes per pack. 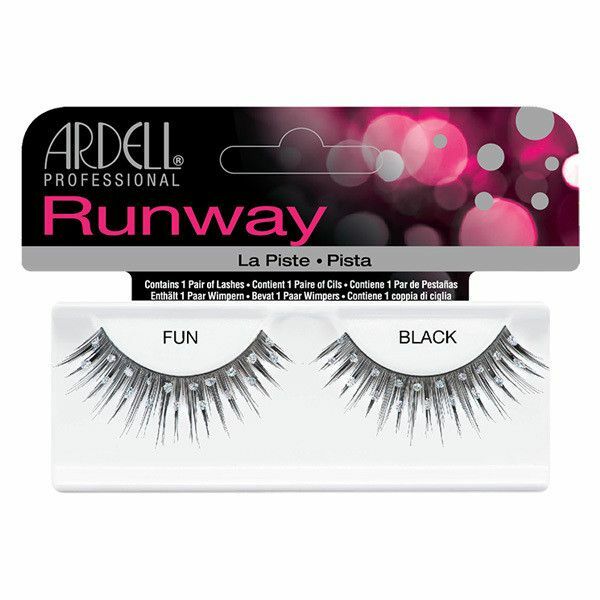 Ardell Wild Lash Pretty (also known as Ardell Runway Pretty Lashes): Black lashes with a row of individual crystal rhinestones. Claudia Lashes have length, length, and more length! Catch these lashes on fashion show runways worn by high fashion models to create and compliment dramatic and beautiful designer looks. Preferred by makeup artists and professionals who style these shows. Made of 100% human hair. Ardell Daisy Lashes are full and voluminous! Catch these lashes on fashion show runways worn by high fashion models to create and compliment dramatic and beautiful designer looks. Preferred by makeup artists and professionals who style these shows. Made of 100% human hair. Available in both black and brown lashes. Comparable to Bullseye LEIGH Lashes. 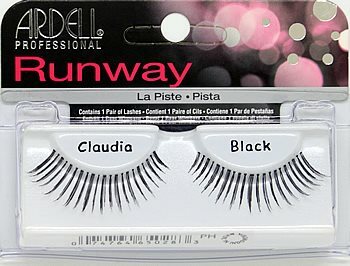 Ardell Gisele Lashes are slightly shorter than the Claudia lash, but have tons more volume! Catch these lashes on fashion show runways worn by high fashion models to create and compliment dramatic and beautiful designer looks. Preferred by makeup artists and professionals who style these shows. Made of 100% human hair. Gisele lashes resemble a longer version of Fashion Lashes #131. Comparable to Bullseye SIOUXSIE Lashes. Ardell Runway Naomi lashes are the most voluminous, most dramatic lashes in the Runway lash collection! Catch these lashes on fashion show runways worn by high fashion models to create and compliment dramatic and beautiful designer looks. Preferred by makeup artists and professionals who style these shows. Made of 100% human hair. Style is similar to Andrea Modlash #33. 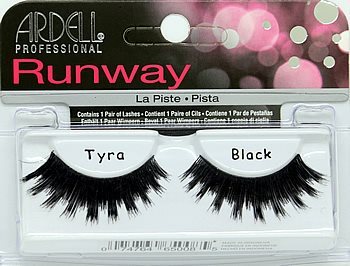 Tyra lashes are full and voluminous, with a dramatically playful "chunk" design. Catch these lashes on fashion show runways worn by high fashion models to create and compliment dramatic and beautiful designer looks. Preferred by makeup artists and professionals who style these shows. Made of 100% human hair.